The Mohammed bin Rashid Innovation Fund (MBRIF), a fund sponsored by the Ministry of Finance, and operated by Emirates Development Bank, has announced financial investment (in the form of a loan) in Lamsa World, an educational and entertainment platform and app for children in the Arab world. MBRIF was founded with an objective to provide monetary support to local innovators in the areas of renewable energy, transportation, education, health, water, technology and space. Applicants must be residents of the UAE, or have their company registered in the UAE. Lamsa delivers interactive content that has a Finnish framework in the fields of early childhood education, and according to a statement, the SME aims to utilize the current funding boost to collaborate with education and child development experts globally, and across the MENA region with a view to develop its proprietary technology that’s adapted to Arabic. “With this funding, Lamsa World will expand its research and development activities, bringing advanced technologies and new characters to the region’s education,” says the statement. "The MBRIF funding will facilitate geographic expansion. Already, in the family and kids categories, we are the number one app on both Google Play and the Apple App Store across more than 10 markets in the MENA region. This is indicative of the significant momentum that Lamsa has gained over the past five years, and we expect to build heavily on this progress as a result of the funding we have received," says Lamsa World founder and CEO, Badr Ward. Commenting on the funding ecosystem for SMEs in the region, Ward adds, "Small businesses seeking growth funding have had limited options. There are certainly more and more up-and-coming venture capital companies, however, they largely tend to focus on early-stage startups and seed funding. Conversely, private equity companies generally concentrate on late stage investments. MBRIF has successfully addressed this gap in the market by providing growth funding options." 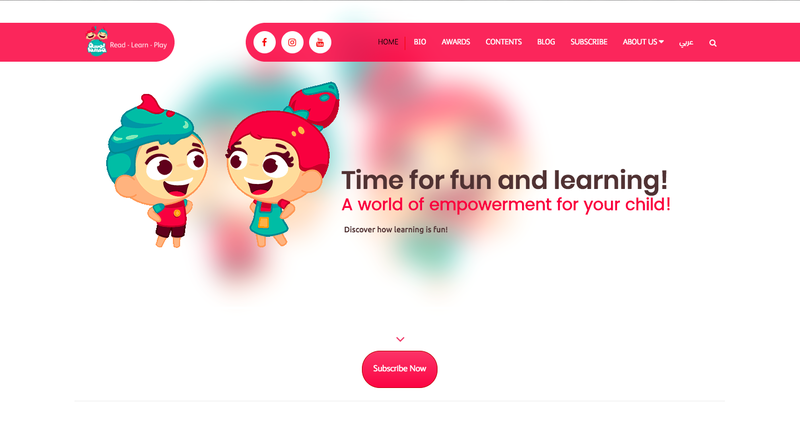 Lamsa’s platform hosts a library of content (tailored for children aged up to 12 years old) including stories, games and videos that are incorporated with the local Arabic flavor and values, and meet international standards. Lamsa is available across Android and iOS platforms, and in 2017, the app reports to have recorded over four million downloads, with total cumulative downloads exceeding 12 million, currently.